Brazil, Argentina and now Ecuador are among three of the top five South American countries we love. What do you know about Ecuador? If you love the beach like we do, then this may be your paradise because the country has a massive coastline stretch that extends more than 2,000 km. Yes! Ecuador is also home to the Galapagos Islands, which inspired Charles Darwin to study evolution due to the diversity of species in the archipelago. Many active volcanoes dot the country, so if you go visiting, you are likely to see a volcanic eruption, which should definitely be on your things to do in Ecuador bucketlist. In case you don't know, the country derives its name from the Equator which runs right across its landscape. Do you know if you book a hotel and flight package to Ecuador you can save some cash. Go ahead and check it out. Architectural designs in Ecuador is influenced by the Spanish. Notable among pieces of architecture are the cathedrals. They include the El Sagrario, which is also known as the old cathedral. Its arches and steeples is reminiscent of the Spanish conquest. It also features modern stained glass. 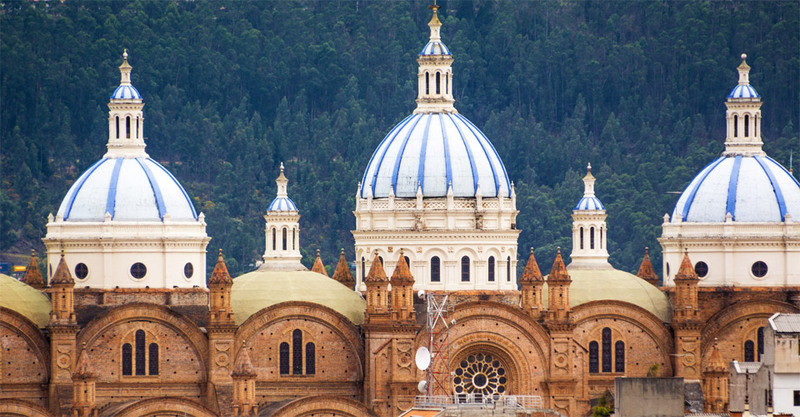 You will find other beautiful pieces of architecture in Cuenca where the imposing Catedral De La Inmaculada Concepcion stands. Ecuador is a fusion of both new and ancient architecture. However, a fire gutted most of the colonial structures left behind by the Spanish, and in their place now stand modern high-rise structures. These high-rise buildings include Elefante Blanco in Guayas, Casa San Juan and Casa Pentimento in Quito. Recent designs are still taking shape in the country, with the possibility of a triangular house being turned into a reality in Puerto Cayo. So, if architecture is your passion, then visiting some of these beautiful building should be on your things to do list when you visit Ecuador. Catedral De La Inmaculada Concepcion Ecuador. 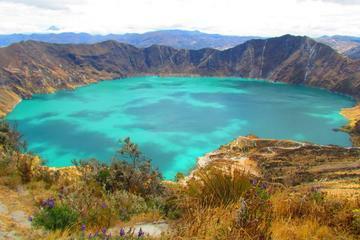 With this day tour you get the opportunity to visit the breathtaking Quilotoa Crater lake, located about 2.5 hours south of Quito this emerald colored lake is one of a kind. 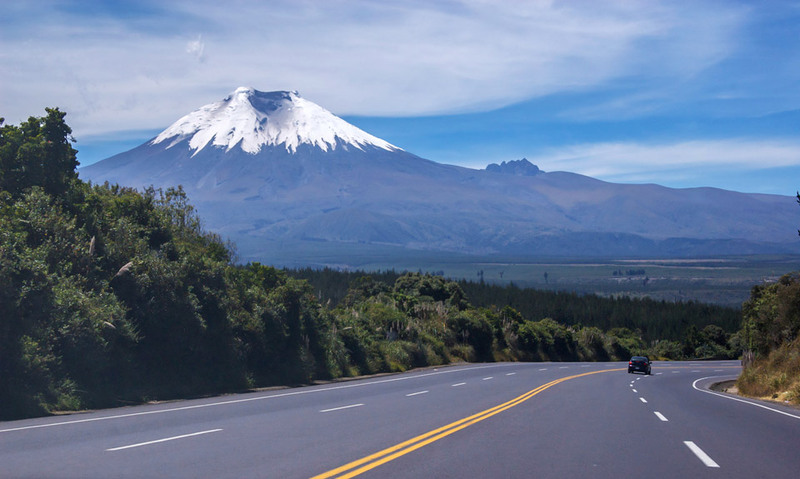 Take a drive through Ecuador's breathtaking scenery, stopping along the way to take photos and soak up the truly amazing and diverse landscapes! 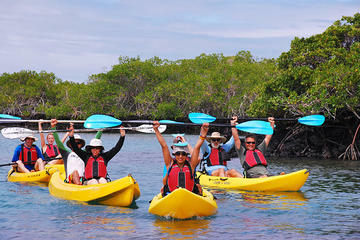 This Galapagos Adventure and Muti-sport Tour allows travelers to explore the islands actively. Ecuadorians enjoy a variety of food, but they depend on agricultural conditions and the altitude of the place. In most areas, they observe the traditional three-course meal consisting of soup (Locro Soup), rice and any protein, and a dessert and coffee to top it all up. If you are a heavy eater, do so during the day to avoid scandalized stares. Ecuadorians prefer a light supper, mostly coffee with bread. Some may even go for herbal tea. The coastal region will offer you ceviche, which is seafood in the form of shrimps and fish served alongside fried plantains or popcorn. Yes I said popcorn. You will also come across Encocados – coconut sauce dishes and Langostinos, another seafood dish. The highlands have a high appetite for meat; beef, chicken and pork. The guinea pig (cuy) is a widely eaten delicacy in Ecuador. Crossing over to the Amazon region you will get dishes featuring cassava, also known as Yuca, and fruits such as grapes, peach palms and bananas. 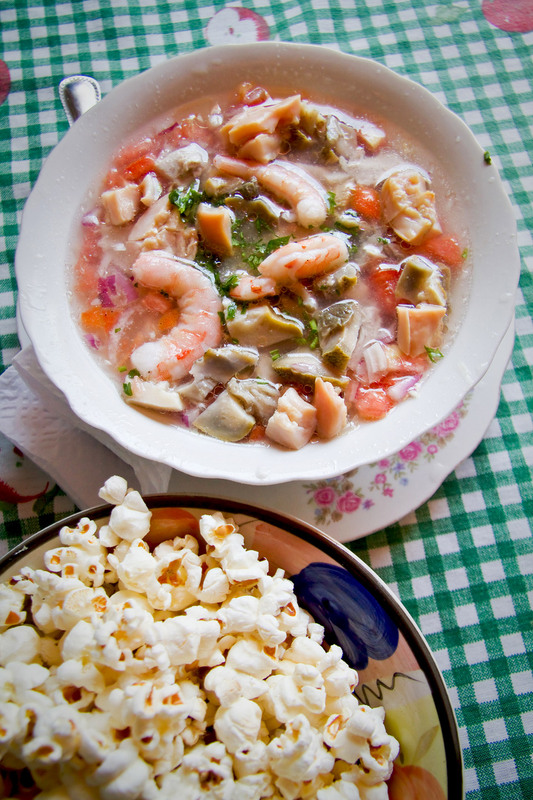 If you are food lovers like us, trying the local cuisine is definitely among the things to do in Ecuador. This is the country's capital city and is home to about 2.7 million people, making it the second most populous city in the country. It sits in the Guayllabamba river basin on the slopes of Pichincha. Geology enthusiasts will be interested in visiting this city because it is near a stratovolcano, in layman's terms an active volcano. The city has numerous points of interest. They include the historic center, La Mariscal, Plaza Foch, Metropolitano and numerous parks. 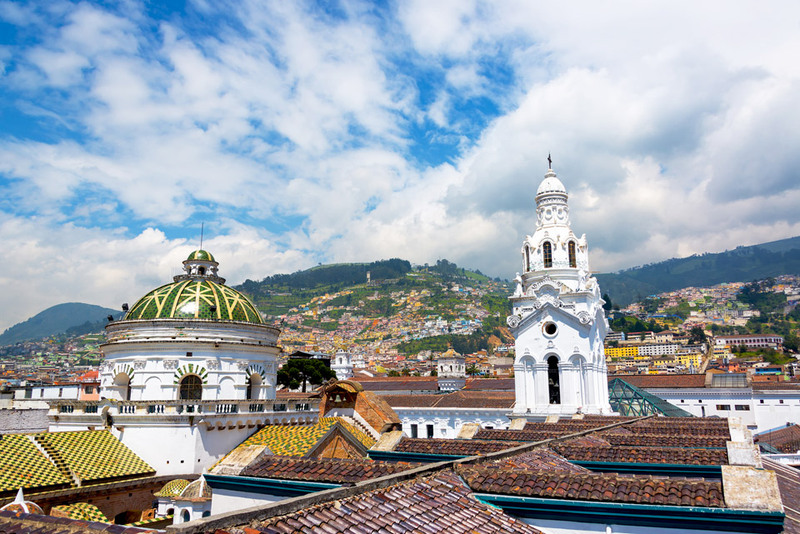 These are just some of the noteworthy things to do in Quito. 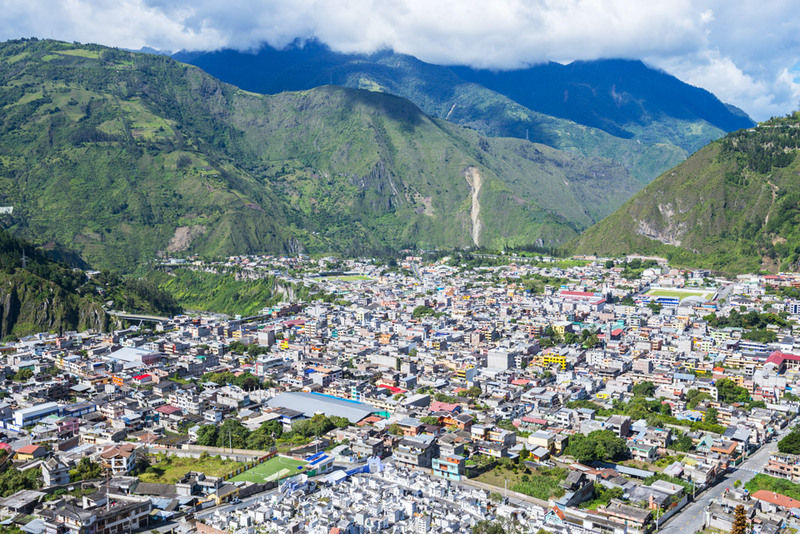 This is Ecuador's most heavily populated city, with a population of about 2.9 million inhabitants. Located on the western bank of the Guayas river, it is the country's main port. The Guayas River empties its contents into the Pacific at the Gulf of Guayaquil. The gulf area is known for its amazing lighthouse, tall buildings and busy streets. Many attractions await visitors here. 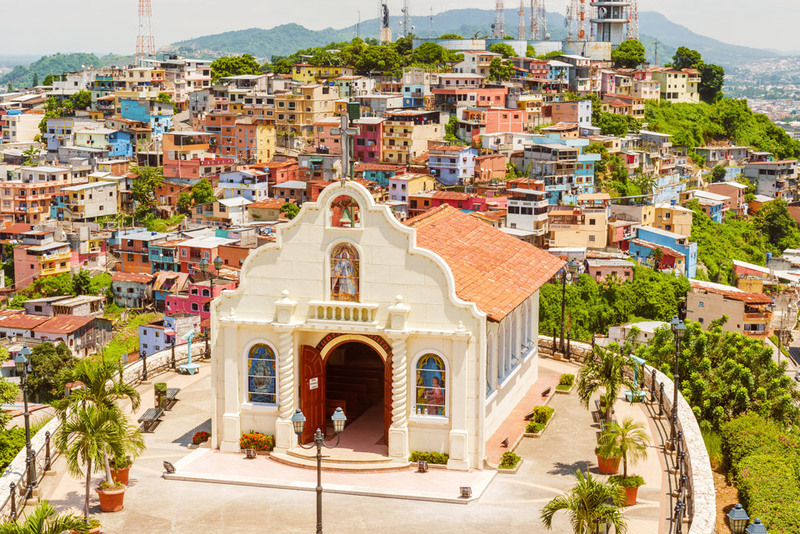 It is one of the most iconic sights of Guayaquil. You will see brightly colored homes, bars, souvenir shops and cafes. You can reach the spectacular Fortin del Cerro hilltop by following the 444 winding steps. Historical relics are also part of this place. Canons, once used to protect Guayaquil, still stay put in their places, aiming towards the river. They are still fired today during national celebrations. Small Catholic Chapel in Cerro Santa Ana Guayaquil. If you love the highlands, turn this city into your home away from home. At its very center is a UNESCO heritage site. 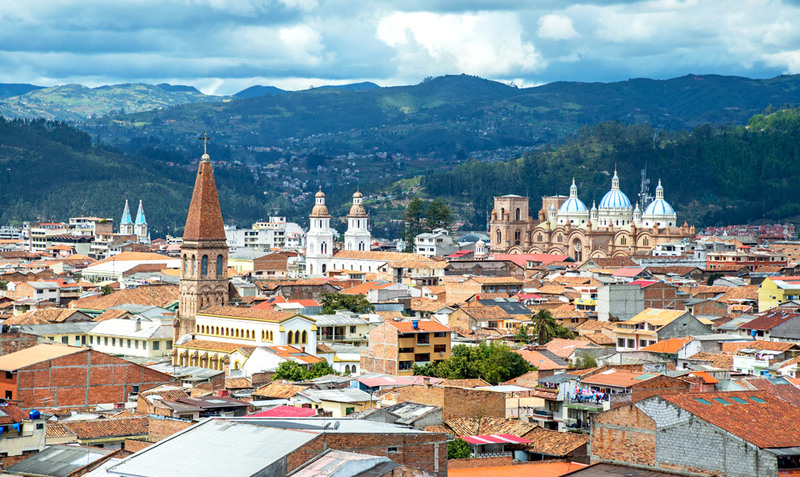 Stunning architecture, many tourist attraction centers, hotels and a bustling nightlife define the capital of Azuay Province, Ecuador. It lies 8,200 feet above sea level, so you can expect a cool climate up there. View of the city of Cuenca. This is where Ecuador's largest seaport is located. The easiest way to find Manta is to ask for Manabi's capital. The city also has an international airport, Eloy Alfaro, where you are likely to land in the first place. It has a population of about 218,000 people. Banos is a popular tourist destination in central Equador. It is Referred to as the gateway to the Amazon because it is the last city before reaching the Amazon as well as small towns located in Amazon River basin. If you love the outdoors and nature then, you should enjoy the lush forest, waterfalls and the hot springs here. 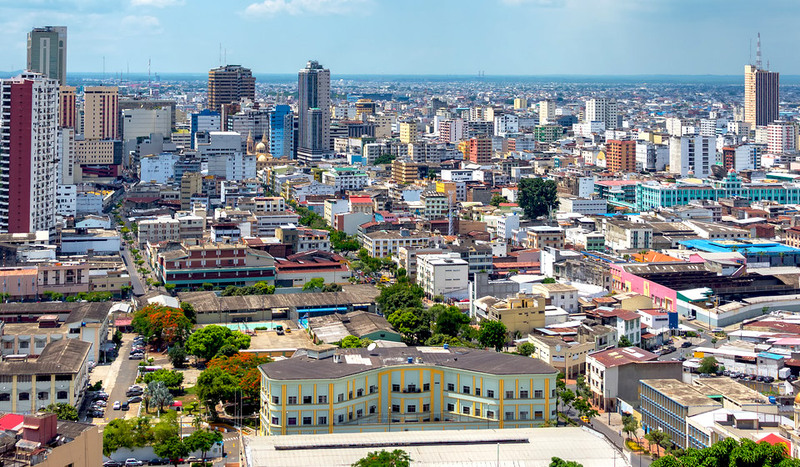 Found in the Guayas Province, it is the second largest city, with a population of slightly more than 180,000 inhabitants. Enjoy sugarcane and pineapples here on Saturday and go to the Milagro City Church on Sunday. Loja's full name is quite a mouthful – Ciudad de la Inmculada Concepcion de Loja. It is the headquarters for Loja Province and is located in the Cuxibamba Valley. It boasts of a rich tradition in arts and is, therefore, considered the cultural and music capital of Ecuador. Its population of 181,000 inhabitants mean that the high altitude is not the best place for making a home. Loja's temperatures range from 16 to 30 degrees centigrade. An indigenous town in Imbabura province, Otavalo is the capital of Otavalo canton. With a population of about 100,000 people, the Imbabura, Cotacachi and Mojanda volcano peaks surround it. 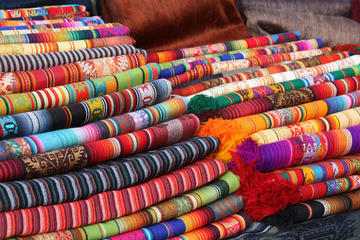 You can stroll through the market on Saturday and admire or buy the colorful fabrics on display. 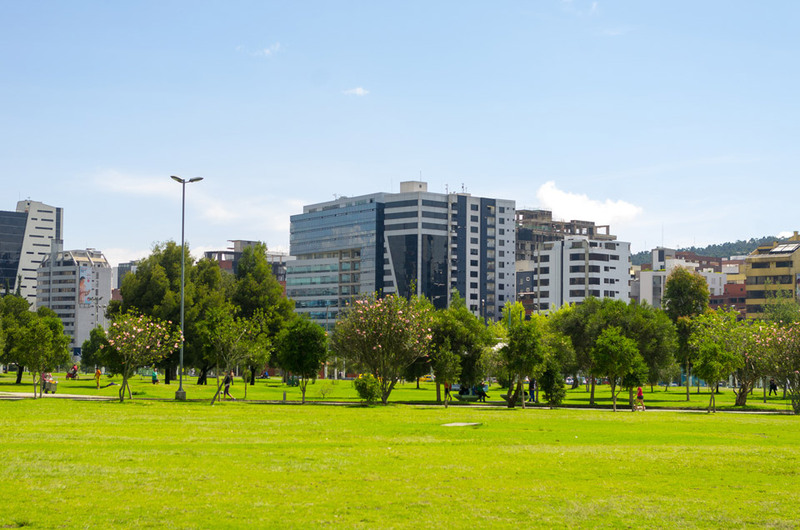 It occupies about 160 hectares in the middle of Quito central business district. Bordering it are de los Shyris, Naciones Unidas, Rio Amazonas avenues, de la Republica and Eloy Alfaro. It is used mostly for soccer matches on weekends. Inside Parque la Carolina in Quito. The park, which boasts a breathtaking lagoon is located in Manabi Province near the rural parish of Machalilla. It has beaches, islands, dry and fog forests. Animal life here includes species of monkeys, birds and the humpback whale, among many others. Los Frailes beach, Machalilla National Park. It is located 50 kilometers to the south of Quito and derives its name from the Cotopaxi volcano, which resembles the moon from a distance. The last eruption occurred in 1904, making Cotopaxi one of the highest active volcanoes in the world. It has erupted more than 50 times since 1738. The park is the ideal place for hiking and climbing. Also, great for lovers of nature as it has a wide variety of flora and fauna. View of the Cotopaxi volcano part of the Cotopaxi National Park. One of the largest national parks in Ecuador, it attracts thousands of tourists every year. Located between Napo and Curaray rivers, it is basically a rainforest. It is home to more than 150 species of amphibians. The protected area also has mammals, birds and various types of plant life. Yasuni National Park was designated a UNESCO Biosphere Reserve in 1989. You will find this one to the northeast of La Alameda. The area is full of trees, making it the perfect spot for picnics and impromptu matches. You can also attend the open air art shows staged on Avenida Patria. There are stalls for selling all sorts of handicraft. This is the best place for a picnic since it offers a magnificent view of the city. The Centro Cultural Itchimbia is the center of attraction, housed in a large glass building. The beauty of nature at the Galapagos Islands. 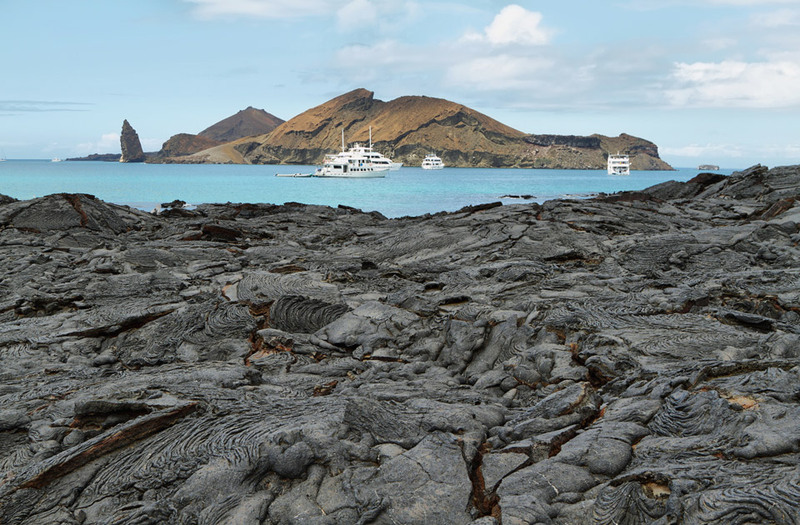 This is the island with the largest human population in the Galapagos. It measures about 986 square Kilometers and stands at a height of 864 meters above sea level. It is the headquarters of the Galapagos National Park. You are likely to come across large tortoise populations as there is a breeding ground for them here. Some sites of interest in Santa Cruz include Las Grietas and El Mirador, Tortuga Bay, Playa de los Perros, and Garrapatero, Highlands and Tortoise Reserve, Black Turtle Cove and Whale Bay. Named after King Ferdinand II, who is said to have sponsored Columbus to undertake this journey. In May, 2005, a huge cloud of ash and water vapor shot into the sky from the island, denoting a volcanic process. It has a total area of 642 square kilometers. You may be interested in checking out Punta Espinosa. It bears the name of St. Christopher, the patron saint of the sea. It has an area of 55m square kilometers. This is also where Darwin landed first on his study of the evolution of species. Its highest point tops 730 meters above sea level. You will see dolphins, tropicbirds and sea lions on this island. Check out El Progreso, Sea Lion Rookery, Frigatebird Hill, Punta Pitt and the Cerro Colorado Tortoise Reserve. It is named after queen Isabela and has an area of 4,640 square Kilometers, making it the largest of the Galapagos Islands. It has an altitude of 1,707 meters and bears a seahorse shape. You might want to check out Punta Vicente Roca, Urbina Bay, Alcedo Volcano, Villamil Lagoons, Tortoise Center, Wall of Tears, and Tintoreras. Baltra is also known as South Seymour. It is located in the middle of Galapagos and unlike most of the other islands, it is rather dry. Cacti, and a few other plants can survive on this island. You should check out the Baltra Land Iguana conservation site and Mosquera as well. It is located off the coast of Santiago and is named after one of Darwin's closest friends, Sir Bartholomew Sullivan. The Bartolome marine site, Pinnacle Rock and Isla Bartolome might be of interest to you. 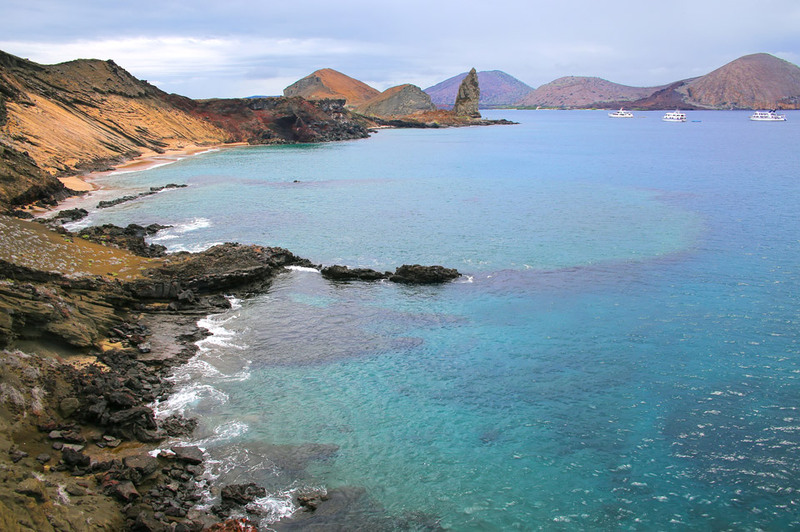 Espanola is a popular tourist stop and is the most southerly of the Galapagos islands. With an area of 60 square kilometers it stands at a height of 206 Meters above sea level. Some of the popular visitors sites include Gardner Island and Tortuga Rock, Punta Suarez, Waved Albatross Colony and Gardner Bay. It has an area of 14 square kilometers. It derives its name from Genoa, Italy, the birthplace of Christopher Columbus. Something unique about this island is that it is a haven for birds, and is fondly referred to as the Bird Island. Visitor Darwin Bay Beach to view the beautiful birds then head to Darwin Bay to snorkel. Santiago has an area of 585 square Kilometers and stands at an altitude of 907 Meters. It boasts of a large variety of animal life. Some of the animals on this island include sea lions, marine iguana, sea turtles and fur seals, among many others. Be sure to check out Chinese Hat, Sullivan Bay and (don't laugh) the Pig, goat and donkey eradication conservation site. Volcanic landscape of Santiago island. Named after an Englishman, Lord Seymour, it has an area of 1.9 square Kilometers and a rise of only 28 Meters above sea level. It is famous for frigate birds and blue-footed boobies. Check out the Marine Sites at North Seymour and Mosquera. This island is named after a city in Spain. It stands at a height of 260 meters above sea level and an area of 24 square Kilometers. Santa Fe is popular for its large masses of Opuntia cactus. The marine sites of El Fondeador, La Encañada and Costa Este may be just what you need. The other islands of the Galapagos are The Daphnes, Darwin, Floreana, Marchena, Pinta, Pinzn, Plazas, Rbida and Wolf. 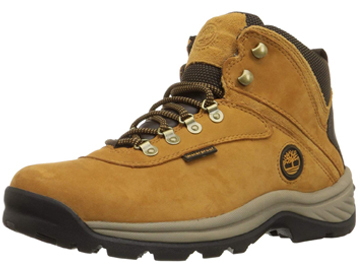 Features full-grain waterproof leather uppers, seam-sealed waterproof construction, and rustproof speed lace hardware with hooks at top for secure lacing. 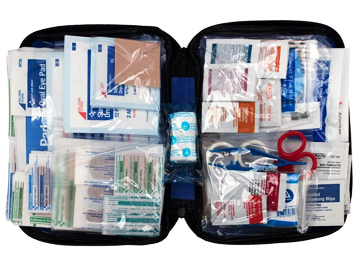 Contains 299 essential first aid supplies for treating minor aches and injuries and comes with a soft sided, zippered case ideal for home, travel and on the go use. 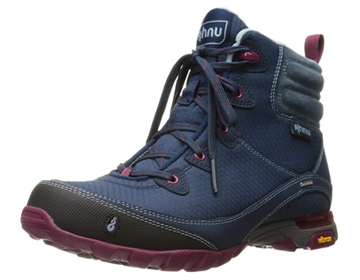 Waterproof hiking boot featuring secure lace-up vamp and cushy padded collar with pull-on loop. Also features Mid cut design for ankle support and stability and a padded, gusseted tongue. Ecuador has a rich fauna that attracts thousands of tourists from around the globe. 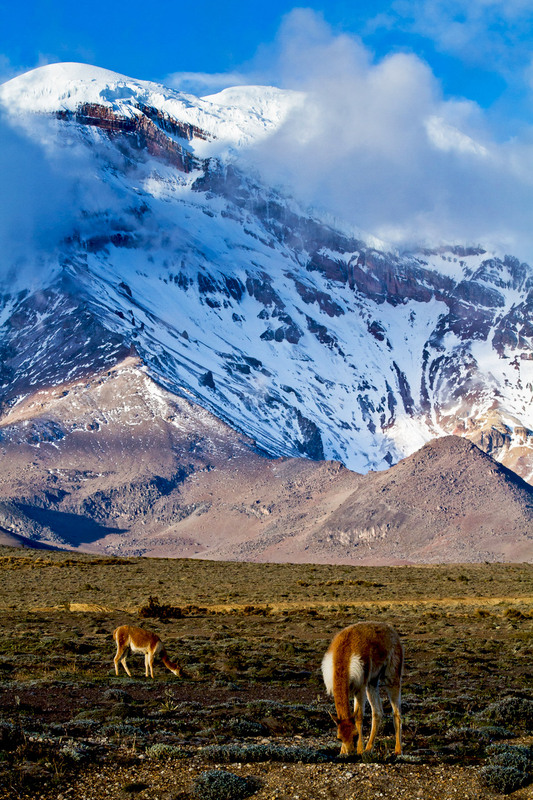 Tortoises, sea lions and penguins abound in this South American nation. Marine iguanas and Sally light-foot crabs also call this country home. Other forms of wildlife in Ecuador include flamingos, fur seals, swallow tailed gulls and lava lizards among many others. Due to its richness in animal and plant life, Charles Darwin was inspired to study the evolution of species when he visited the Galapagos Islands. 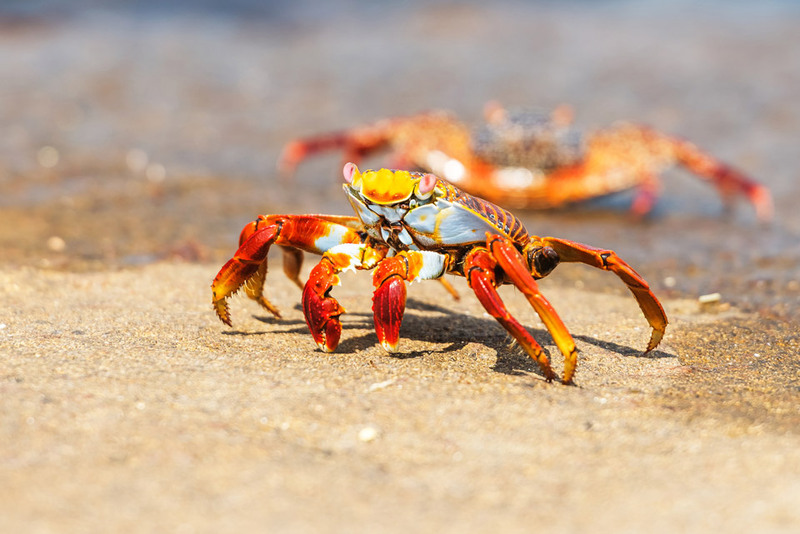 Sally Lightfoot crab on Galapagos Islands. 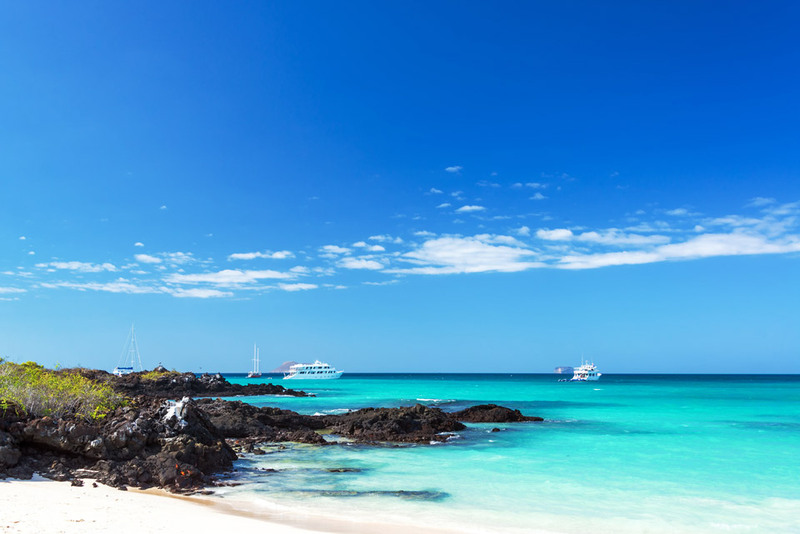 Bacha Beach in Galapagos Islands. 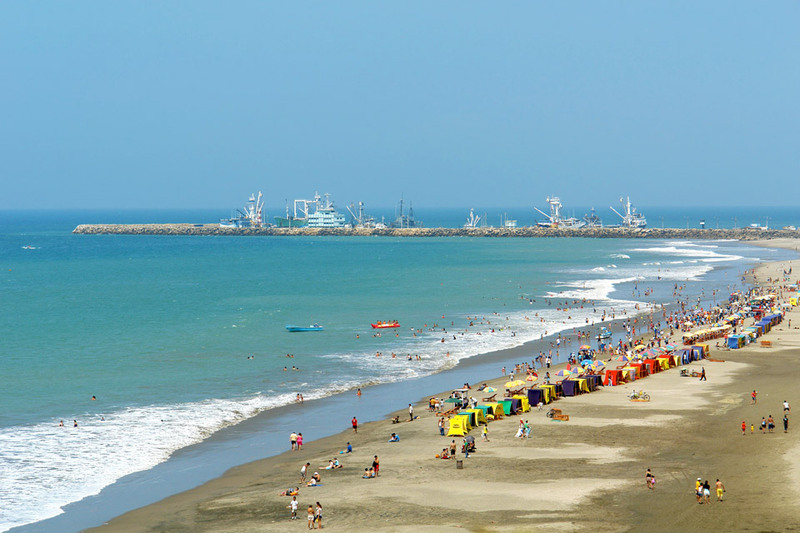 Ecuador has one of the longest coastlines in South America. In addition to this, it boasts of numerous islands in the Galapagos archipelago. As such, you are justified to expect it to have many beaches. In fact, you can safely call it a beach country. 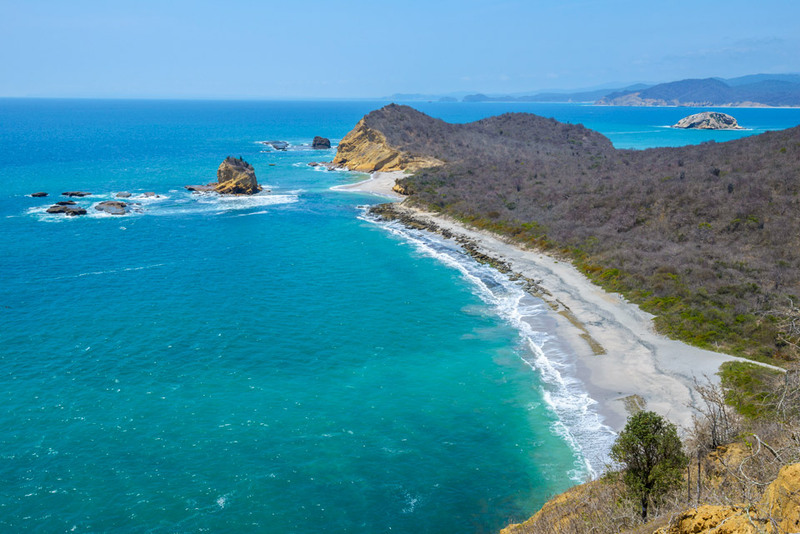 Some of the beaches here include los Frailes, Bacha Beach, Atacames and Salinas, Milina Beach, Punta Blanca, Ayampe Beach, Puerto Lopez, Crucita beach and Mompiche beach. This is just to name a few. There are many more. OK! some others include Muisne, Montaita and Canoa. The beaches make the country one of the most spectacular in the world, and it has become popular among many of the world's tourists. These beaches form perfect spots for holiday-makers. The Ecuadorian weather, which is friendly most of the year, is also very inviting for beach lovers. The cost of staying and visiting these beaches is also cheaper when compared to other beaches in other parts of the world. The South American nation has undoubtedly drawn immense interest across the globe. So, see you in Ecuador. Hey Nikks where's our passports? Have you ever visited Ecuador? Let us know what you thought about the country.